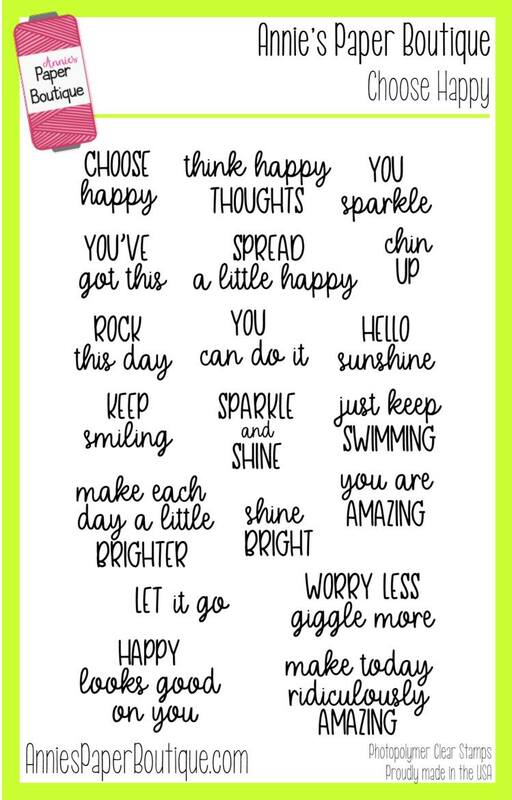 Hello all and happy Monday! 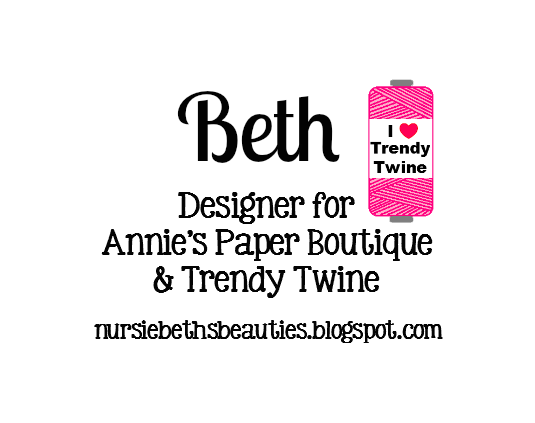 I am sharing a project for the Trendy Twine blog today. 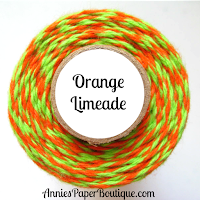 This month we are showcasing Orange Limeade Trendy Twine which was released as a Halloween twist, but as you can see, it works wonderfully for summer as well! 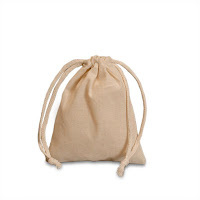 I started with a Cotton Muslin Bag and stamped grass along the bottom in lime ink, heat setting it to make sure it was dry. I then hand stitched the butterfly trail using Orange Limeade Trendy Twine. The butterfly is a die cut and I added black Nuvo Crystal drops to accent it. I used hot glue to adhere it to the bag. 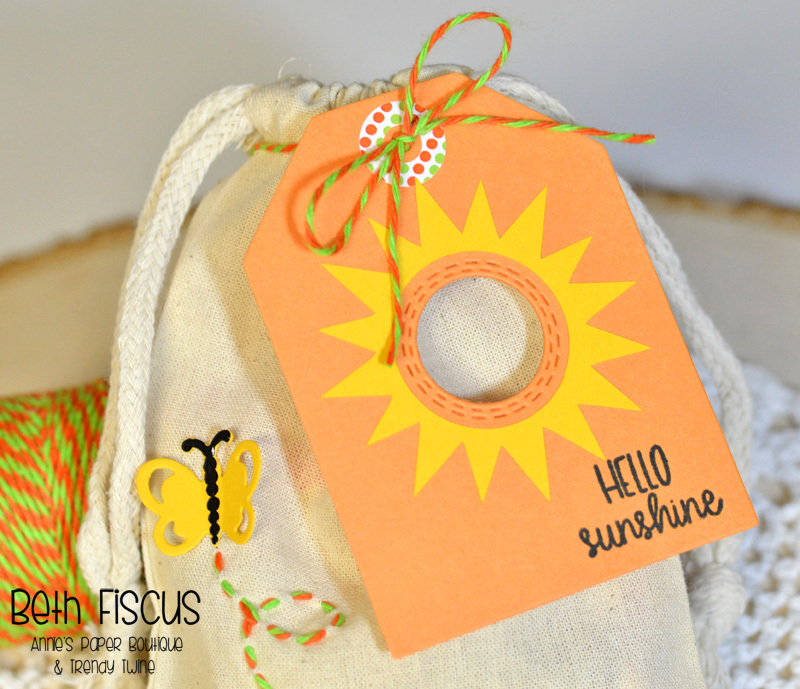 I then added a Mango Large Tag-It that I had added a die cut sun to as well as a sentiment stamped from the APB Choose Happy stamp set. 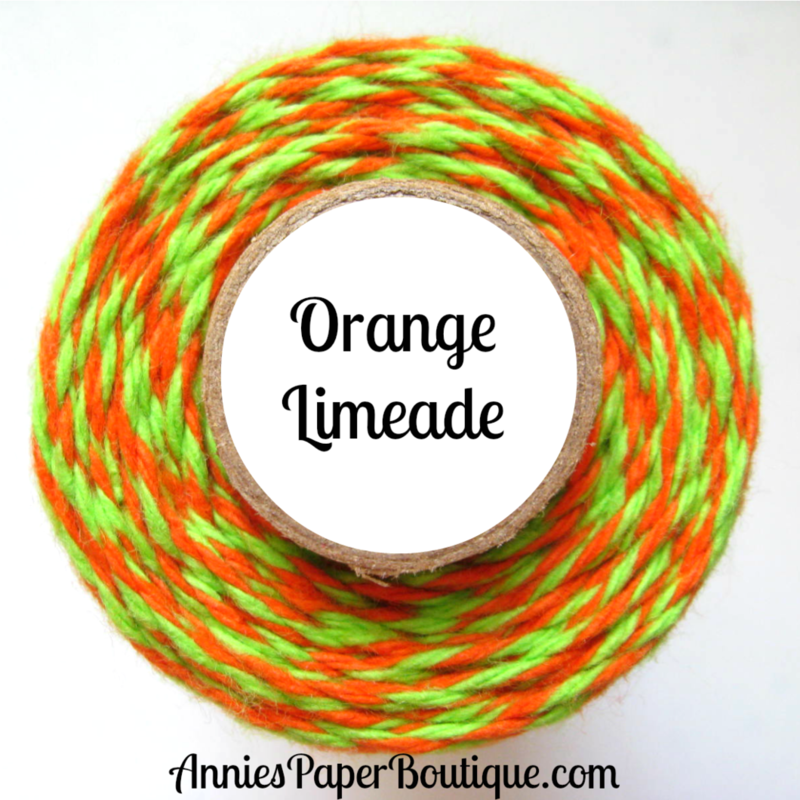 I placed a Lime Orangesicle Trendy Page Dot at the top and tied it around the top of the bag with Orange Limeade Trendy Twine. 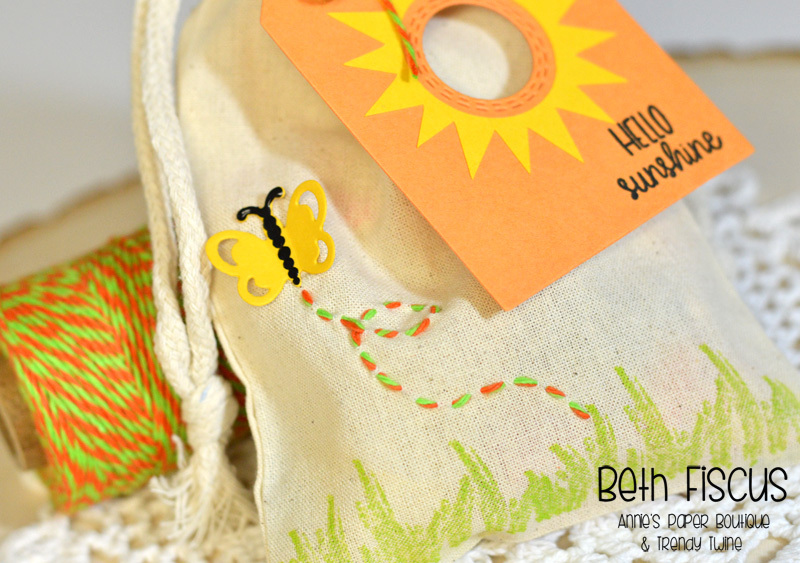 You decorated this sweet little bag perfectly! What a fun idea and your tag is so adorable! 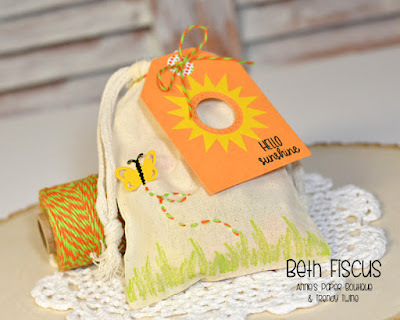 Cute project! The stamped grass with the butterfly scene is adorable! 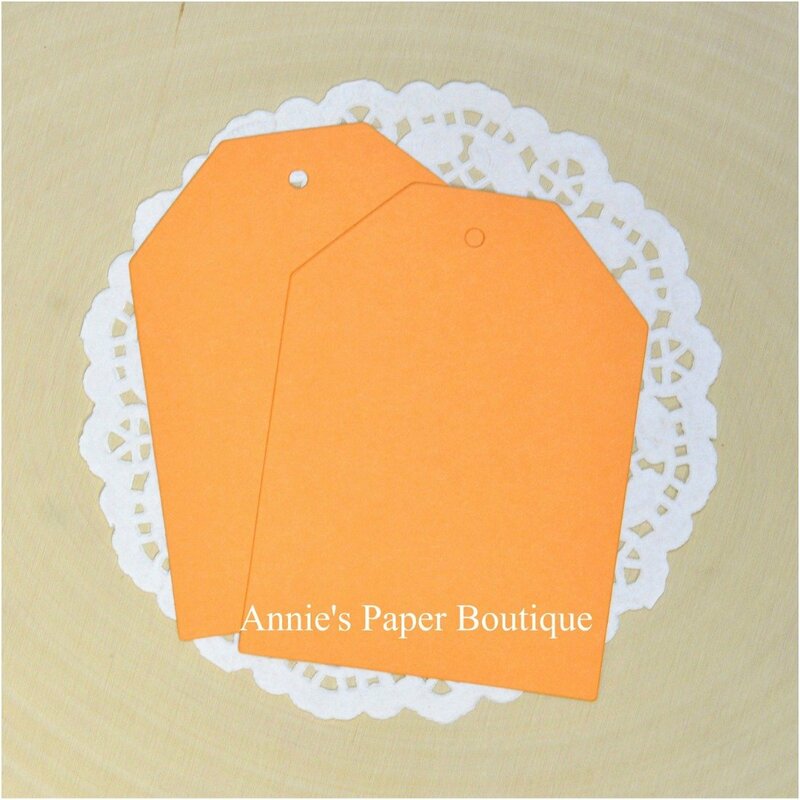 Great accent with the twine too! Such a Super CUTE idea Beth! I LOVE how you decorated that bag! Loving the little trail of twine behind your butterfly. 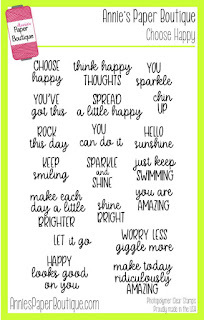 Cute way to give a gift.